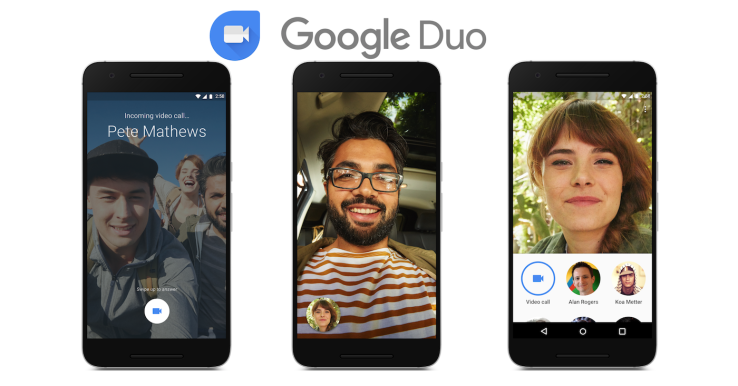 Google has unveiled a no-frills video-calling app called Duo, that works across Android and Apple’s iOS. Already previewed earlier this year alongside a new messaging app called Allo, Duo will roll out over the next few days but you can sideload it on Android via installing the APk from below. Google's Duo is pretty simple. Duo users identify themselves via their phone numbers, and Google claims their calls will keep going when they switch between cellular networks and Wi-Fi connections. “Video calls connect quickly and work well even on slower networks,” the company wrote in a blog post. Interestingly, a feature called “Knock Knock” lets the call recipient see live video of the person who’s calling, before they choose to answer (or not). Google said all the calls over Duo are encrypted end-to-end. This already sets the app apart from Google’s established Hangouts service, which also provides a degree of encryption but not enough to stop calls being tapped. End-to-end encryption makes it impossible for even Google to intercept the contents of communications. Allo will also have end-to-end encryption as a feature, but it won’t be enabled by default, a fact that has irked privacy advocates. Will Duo be attractive for consumers? Hangouts was more of a hit in the enterprise, apparently, so Google isn’t risking a huge amount of cannibalization. Apple’s Facetime is a clear competitor, but that service doesn’t work on Android, which limits it a great deal. That leaves the really big competitors being Facebook Messenger, Microsoft’s Skype and soon Facebook’s WhatsApp, too. Whether it’s successful or not, though, it’s clear that Google is trying to go down the Facebook path of breaking up its apps into distinct use cases, rather than trying to bundle everything up in one package. Duo doesn’t do text chat, it doesn’t do group calls, and it doesn’t include silly filters. It basically just does one thing, and everything rides on it doing that one thing well.